Double Trouble? Double FUN! 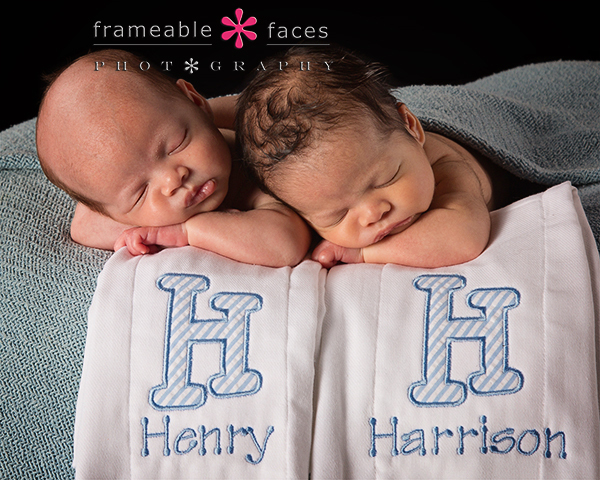 Meet Harrison and Henry! 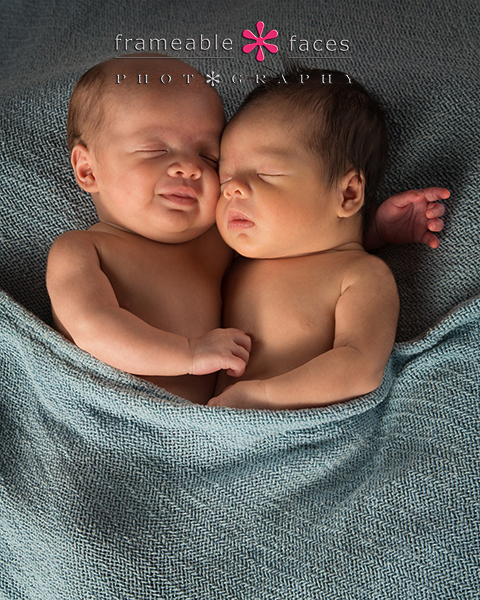 I got a phone call from Carlos looking to set up a photo session on pretty short notice…..for his twin one month old boys! I knew Ally would be pretty excited since we’ve had plenty of babies in the studio and plenty of twins, but no twin babies! We had time available the following day which was exactly 30 days from Harrison and Henry’s birth so it seemed like the planets were aligning! And what a session! 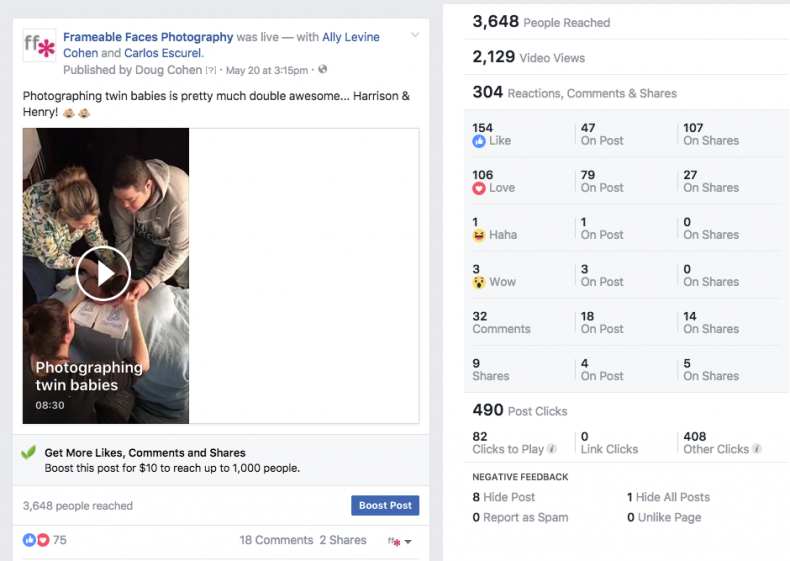 Are twin boys double trouble to photograph? HECK NO – they’re double FUN!!! Double Fun with Harrison and Henry! Carlos and Gina came to the studio well prepared with some monogrammed burp cloths for the boys which we’ll get to. 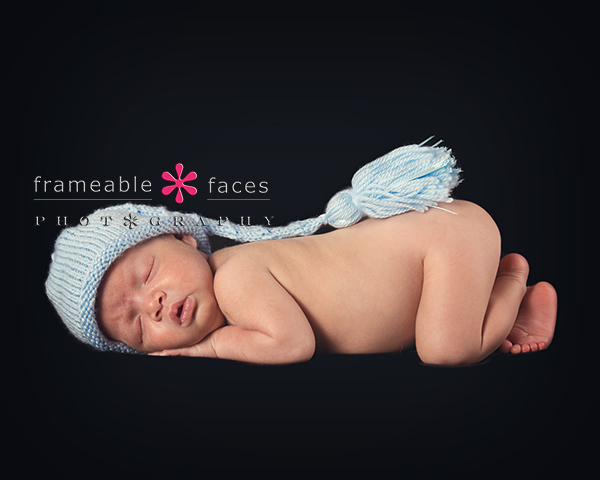 In the meantime for one month old babies it’s hit or miss on how easy it will be to get them to sleep which always makes for easier posing and photographing. So with twins this was somewhat unchartered territory! Indeed, they were not ready to nap when they got here so we had to wait it out a bit…. a little classical music, some low light, some high heat and an hour or two of patience and we were in business!!! We always block off two hours but allow for cushion on the back end with little babies just in case we need the extra time. So without further adieu, let’s meet the boys! Okay how awesome is the tongue…! We also have some fun behind the scenes action for you – first with the replay of the Periscope broadcast – you can join in the fun and follow us on Periscope at @frameablefaces at this link, or you can just check out the broadcasts from twitter here. 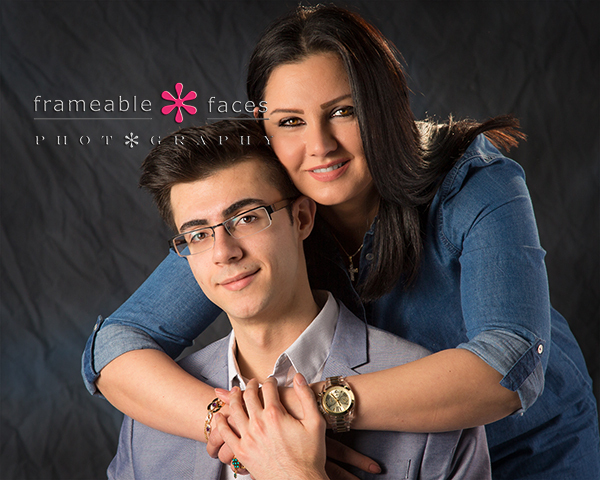 And here is an amazing shot from that part of the session that will definitely make you smile…. Double fun indeed!!!! Double adorable, double delicious – the list goes on and we hope you enjoyed the highlights of our day with Harrison and Henry! 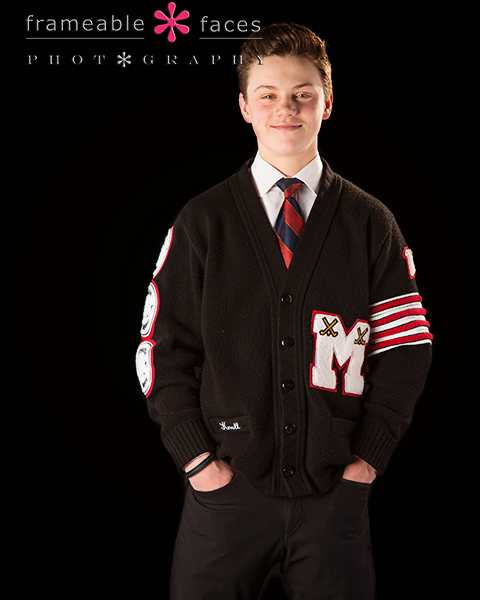 It’s Time For The Class of 2018 Spokesmodel Panorama…..RAMA!!! 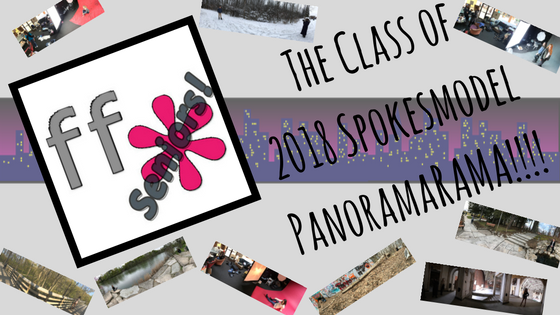 It’s time for the Class of 2018 Spokesmodel Panorama…..RAMA! Haha – so when we were photographing our high school senior spokesmodels throughout the winter and spring of junior year I was playing with my iPhone to grab some behind the scenes panorama photos. These are not “professional” photos by any stretch since I’m not the photographer here for starters…. Ally is. But they are kind of cool and fun so let’s stack them all together and see what we come up with shall we? 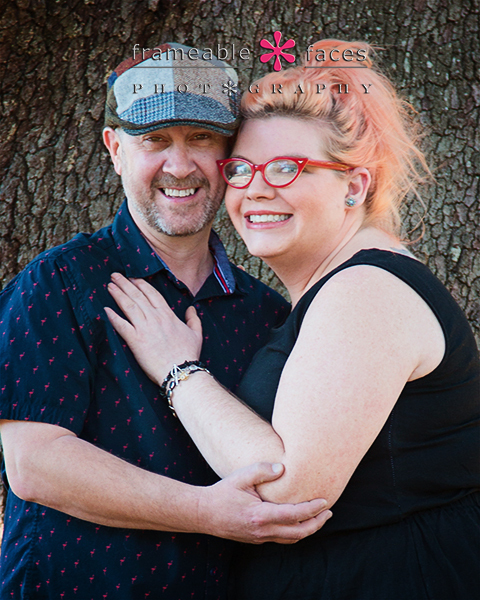 It’s a fun way to recap these photo sessions with this awesome crew – in the studio, in the snow, in old crumbling buildings, in a park, two at a time, with moms in the background, with wardrobes sprawled all over…. we’ve had so much fun! Panoramas sometimes give you a distorted view along with the scope of the whole scene, and sometimes it looks like Ally is shooting in a completely different direction (but I can assure you she’s not)!!! The Class of 2018 Spokesmodel Panorama RAMA! Fun right? Just a fun and interesting way to revisit these sessions and we hope you enjoyed our Class of 2018 Senior Spokesmodel Panorama – RAMA! 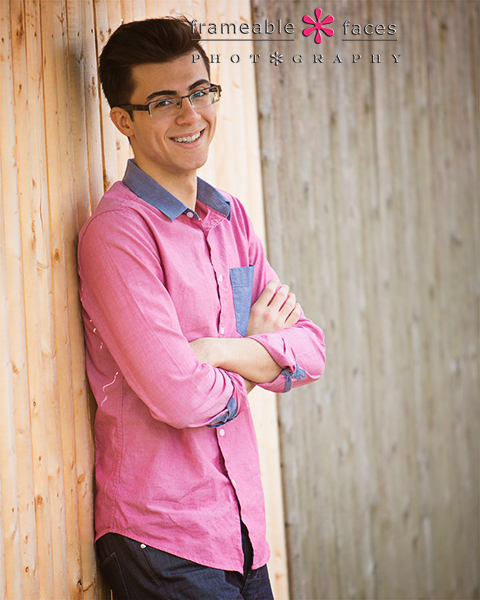 A Calm, Cool & Confident Senior – Joseph Is No Joke! Not that he would be anyway for any reason, but no – Joseph is no joke! 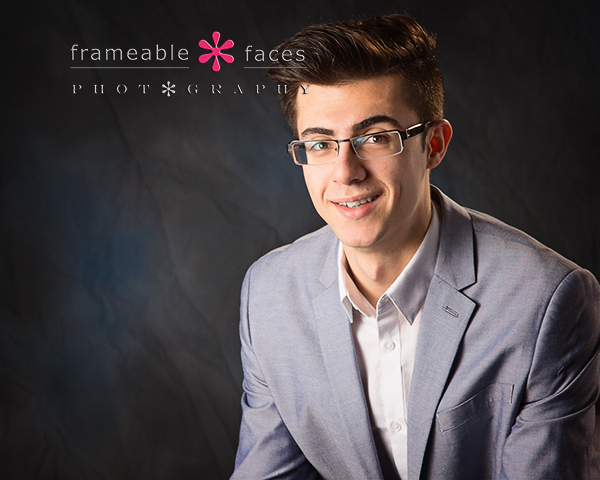 The guy called and scheduled his senior session himself – he came in earlier in the school year to do his yearbook headshot just under the deadline and we planned out the rest together. So right off the bat he showed some responsibility that not all high school seniors display. Plus he’s just a soft spoken but plenty cool and confident dude and we enjoyed hanging out with him a lot. Now just because Joseph handled the plans for this session doesn’t mean that his mom Eleanor wasn’t involved – she came on the session and she got into a couple shots! She’s a sweetheart and here’s a nice one of senior and mom together! 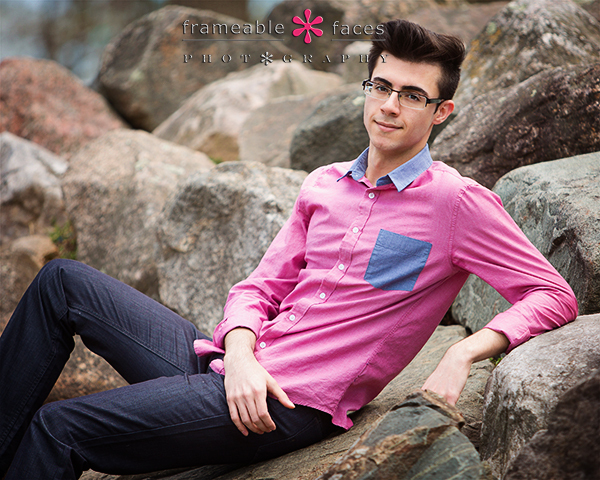 It was a little chilly but the lighting was fine and we got a couple of great photos… First on the rocks – and we’re digging the pink shirt! We’ll leave you with one more against the picket fence – you can see the confidence with this young man! And there you have it – Joseph is certainly no joke and we were glad to have him at our studio! We hope you enjoyed the highlights of our day with him and Eleanor! Dwelling On Dani Since She’s The Last But Not Least Class of 2018 Spokesmodel! We’re dwelling on Dani here, and we may just have saved the best for last here with our 2018 spokesmodel crew… Okay well maybe that’s not totally the case because we love this whole crew so much, but Dani is awesome and we had already hung out with her for dinner at Chipotle before we photographed her so that just proves already how special this girl is to us! Dani is another one of these superseniors who is sweet, smart and seriously focused on all the right things. She’s a well-rounded student athlete and such a sweetheart – and she comes with a great mom too! Diana is really great and she came on Dani’s session with us. Needless to say we had a blast! After just a few shots in the studio we headed out on location to the West Bloomfield trail network and a couple of different nature preserves since the conditions were really nice and we fired up some live video for some behind the scenes fun – first on Periscope and if you want to download the app and follow us there at @FrameableFaces you can do it at this link. If you want to just follow our broadcasts from Twitter you can do that too here. Here’s a full length photo outside – Dani was killin’ it! We also need to give a shout out to Jordyn Popour from Detroit Glam for the fantastic job on Dani’s makeup, and we will be offering Jordyn’s services on sessions this year so ask us about it when you book your session! Here’s one more sneak peek from the session for y’all…. So there you have it – dwelling on Dani was well worth it, and we can’t wait to get her back in front of Ally’s camera for her senior pictures along with the rest of the class of 2018! We’ll leave you with the fun Snapchat story from the day! 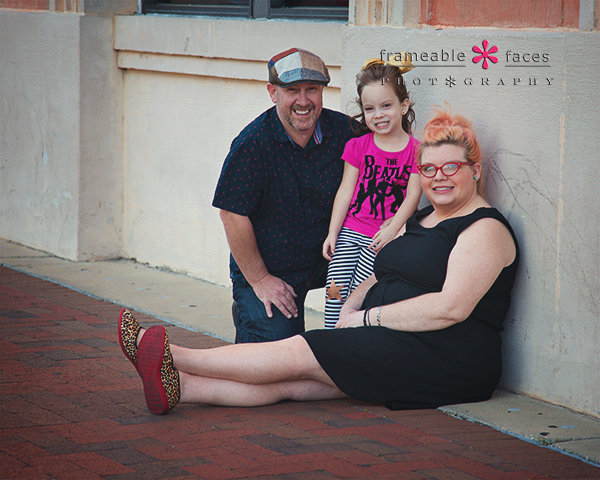 Nelma and Her Fabulous Fam Represents Frameable Nation In Pensacola! NELLLLLLLLLMAAAAAA!!! Okay we need to explain. We met Nelma through Periscope and we’ve known her for quite some time now. We both used to host game shows on a network called “Play For Stuff”, were hanging out in the same circles in the Periscope community and we have consequently spent plenty of time in each other’s broadcasts. Nelma actually named our living room in the studio “the parlor” and one of our couches is named for her too………..and she’s never actually set foot in our studio. 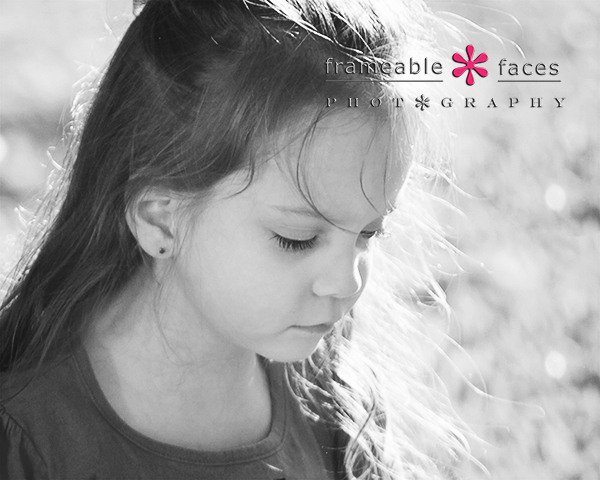 She lives in Pensacola, Florida with her husband Alfie and their adorable daughter Lydia. That just speaks to the amazing madness that is Periscope, and we have no idea how this piece started but anytime Nelma jumps into one of our broadcasts she’s greeted with “NELLLLLLMAAAAA!! !” by the two of us in unison. So eventually as we’ve documented here we got the idea to plan a road trip for Spring Break that would include photo sessions since we are asked quite often if we would travel to do them. The Frameable Faces Spring Tour started to take shape and when we said we were coming south to Florida, Nelma said “sign me up”! 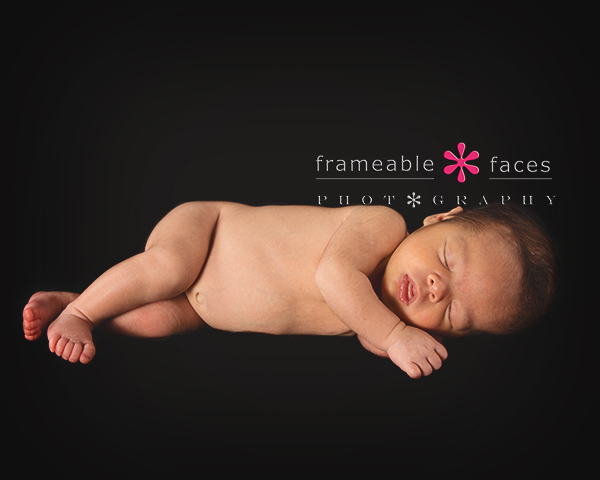 We were so excited to finally meet her and to photograph her family! We met in downtown Pensacola on the back end of a drive all the way up the state from Del Ray just in time for great light and really nice conditions at Plaza Ferdinand VII in the center of town! And how about one of just Nelma and Alfie? They’re awesome. As delightful in person as we expected! 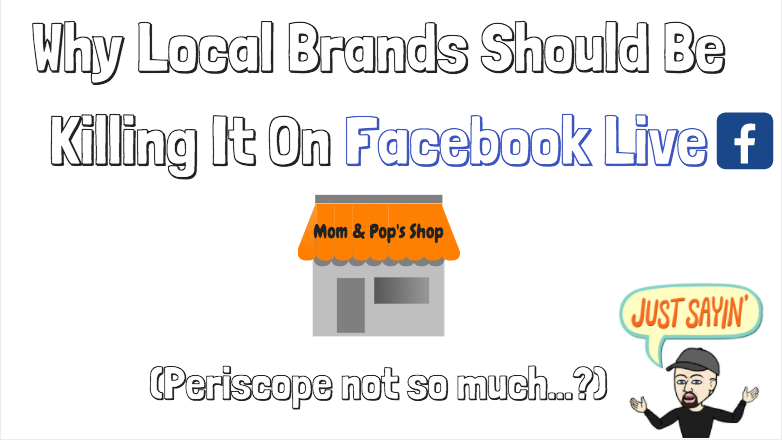 As usual we have some behind the scenes fun for you – we did a Periscope broadcast and here is the replay! You can follow us and join in the fun at this link or you can just check it out from Twitter here. Now let’s talk about sweet little Lydia! 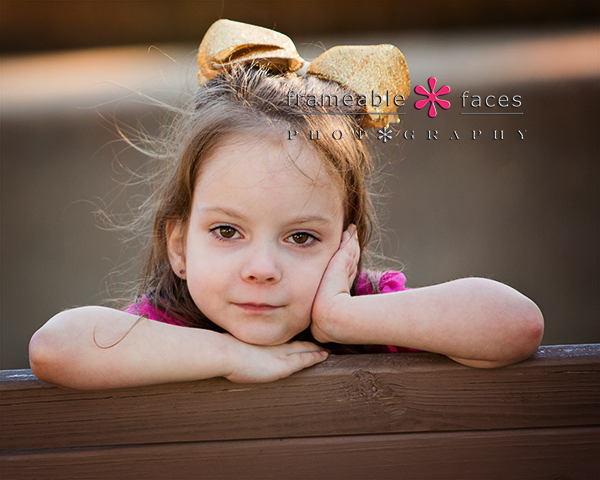 She is 4 and she is such a cutie! So adorable! And such a little character – we had a lot of fun with her. And that’s the one we’ll leave you with! Let’s also give a little shout out to check out her online store Beach Baby Couture with custom letter blankets and all sorts of other custom bedding, quilts, clothing – you name it! We saw her home shop where she makes all of these items – we were really impressed! We hope you enjoyed the highlights of our time with Nelma and thanks for reading! 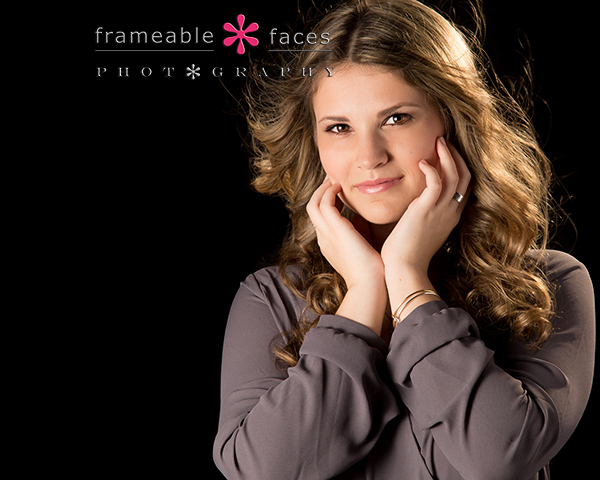 Join Us With Jordyn For A Springtime Spokesmodel Session! Join us with Jordyn won’t you? 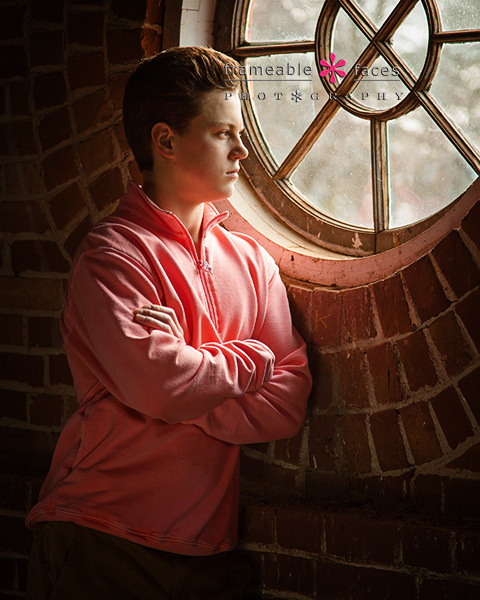 This was a fun springtime spokesmodel session to be sure – we usually start with the new crew of spokesmodels in the studio because it’s winter, and don’t get me wrong we love those! But it’s also nice once the weather starts to break to get out to some of our fave locations and shoot outside and this was our first time back to Quarton Lake in Birmingham in a while. 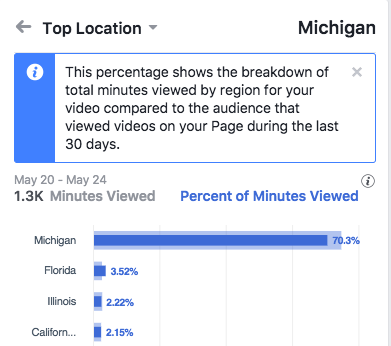 We also have plenty of behind the scenes fun for you as usual and here is the replay of our Facebook Live broadcast – be sure to like us on Facebook and you can tune in to future broadcasts there! 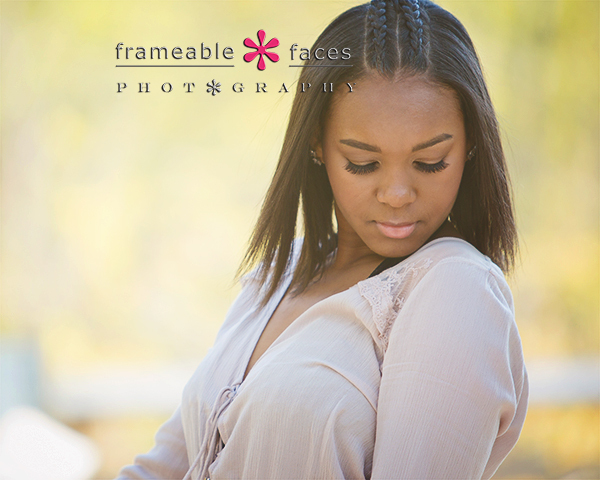 Here is one of our well known black and blowy shots – Jordyn rocked it! 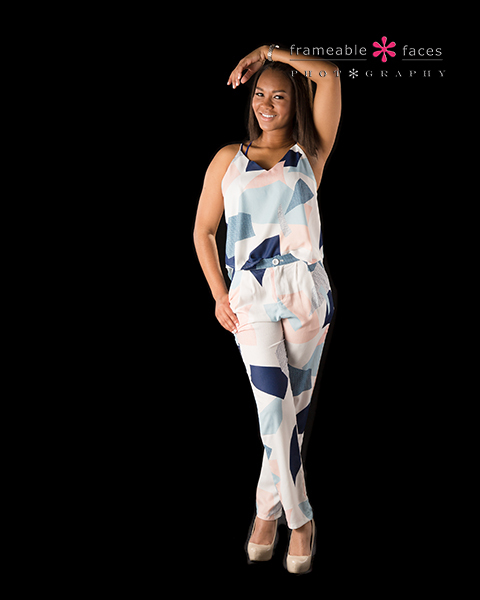 This would also be a good time to give a shout out to Jordyn Popour of Detroit Glam for the hair and makeup which she did here in the studio – remember that, because we will be collaborating with Jordyn in the future to offer her services for our senior sessions! At this point it was time to head out to Quarton Lake in Birmingham which is a popular spot for our seniors! We started at the spot we call…..”the spot”! I mean….. so great right? Here’s some more behind the scenes this time from the Periscope broadcast. If you want to join in the fun on Periscope you can do it by following us at @FrameableFaces here or you can also just watch from Twitter here. And here’s a fun last photo for now – Jordyn is clearly having fun here! And there you have it! 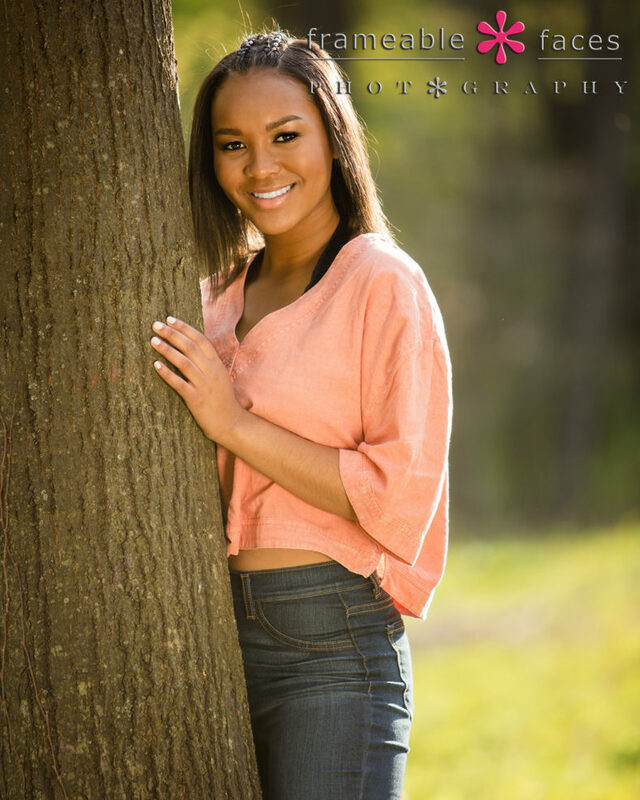 We’re glad you joined us with Jordyn for a Springtime Spokesmodel session! We are looking forward to photographing her and the rest of the class of 2018 starting next month! We’ll leave you with the fun Snapchat story from the day! Senior Spokesmodel Session Problems For Zak? Zip, Zilch, Nada! Zak is a cool kid and this isn’t the first time he’s been in front of Ally’s camera… not his first Frameable Faces rodeo so to speak. You see he was here with his parents for a family session – that would be his parents who were married ONE DAY before we were! So we have something in common with these guys and we knew Zak would be a good representative for the class of 2018 crew, so were there any problems getting some killer shots with this guy? Zip, zilch, nada!!! Problems For Zak? Zip, zilch, nada! Of course we have some fun behind the scenes action from the session starting with the replay of our Periscope broadcast! If you want to join in on the fun – especially on the Doug & Ally Morning Show T-F (& sometimes S) sometime between 8:30 – 11 AM EST along with various other photo sessions like Zak’s below you can follow us at @FrameableFaces at this link, or if you want to watch the broadcasts from Twitter you can do that too. 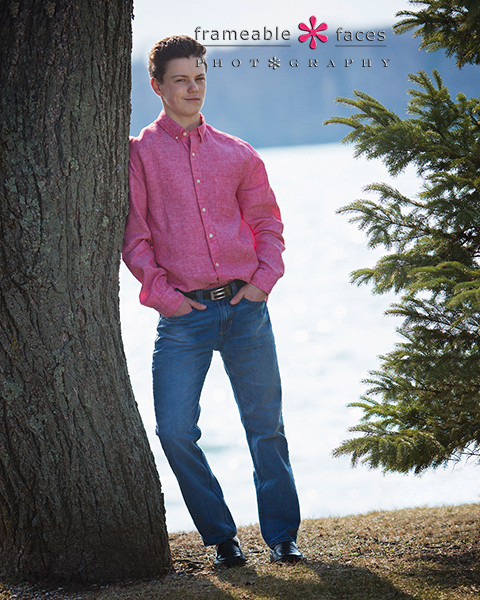 We also headed out to the OLSM campus for the outdoor photos and captured some great stuff… locations like this and Cranbrook for example are great for sessions IF you have permission to photograph there. 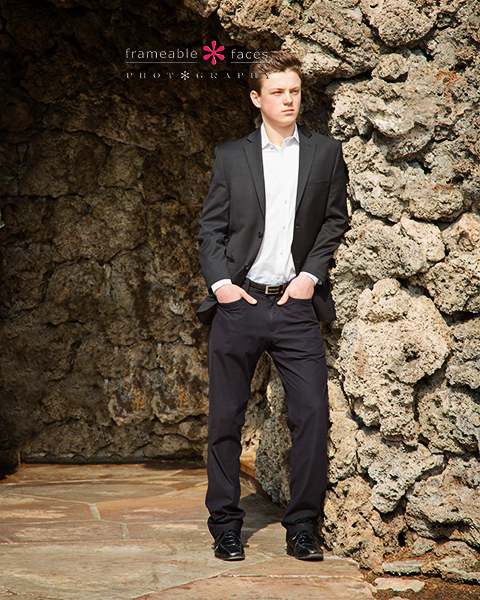 We started with a little more formal look at the grotto. Great shot of Zak there. So as you can see there were NO problems on this session with Zak – zip, zilch, nada!!! 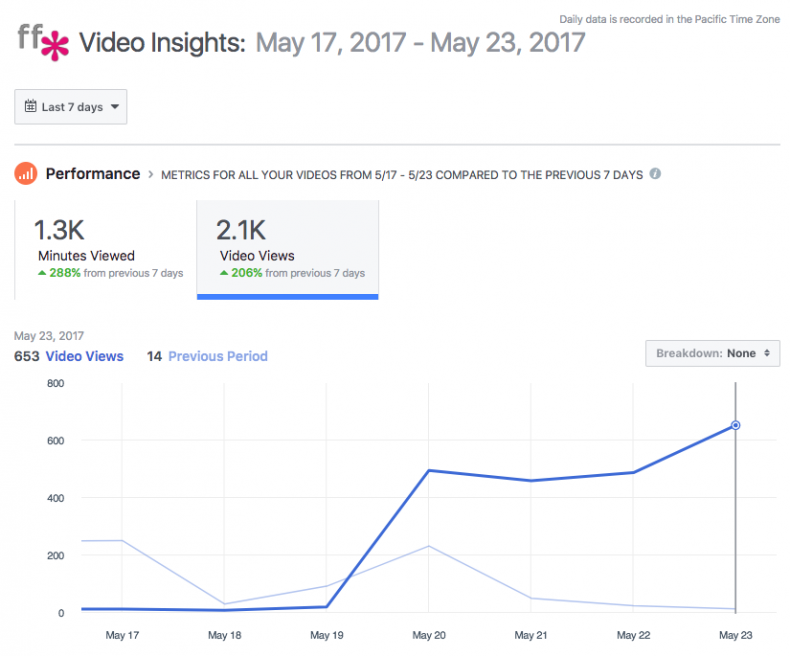 We hope you enjoyed the highlights! We’ll leave you with the Snapchat story from the day!